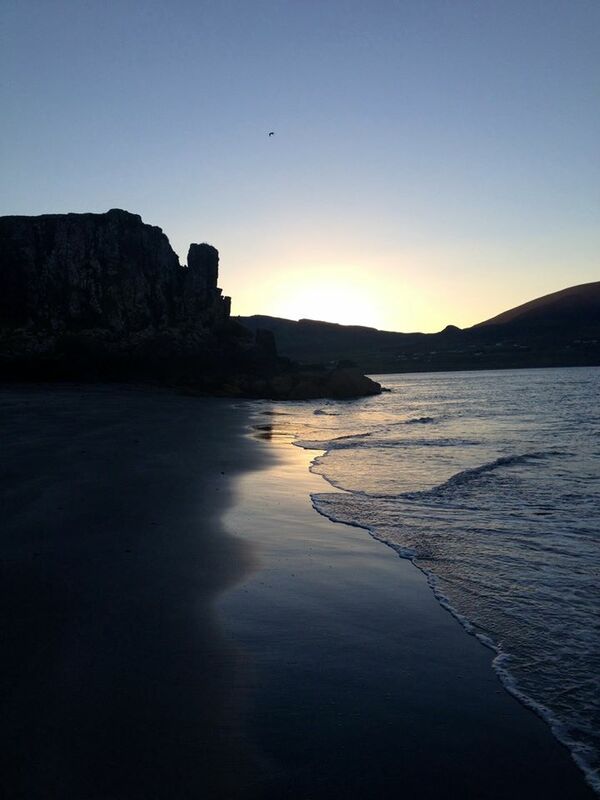 This entry was tagged beach, Dinosaurs, Discovery, Fossils, Isle of Skye, Jurassic Park, Prehistoric, Shifting Sands, Skye, Staffin, Sunset, Trotternish Peninsula. Bookmark the permalink. 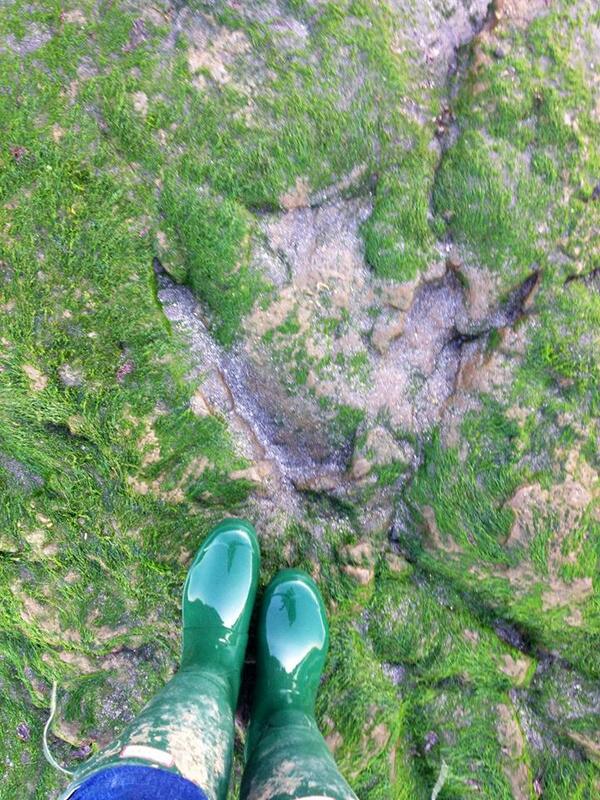 I recently found some footprints down on the south coast near Hastings. I was just as excited as you were. There are a couple of photos on my blog under the post ‘Sands Of Time’. 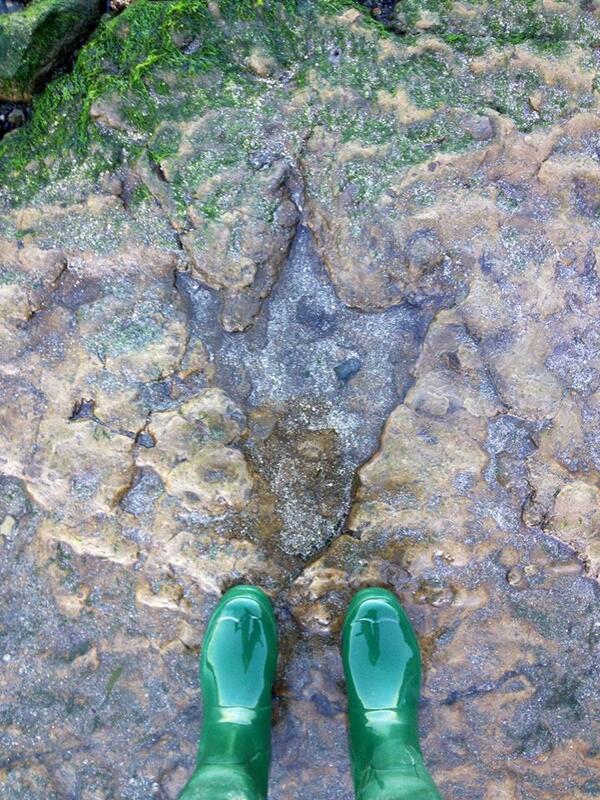 Hastings footprints look amazing too. I’ve just looked up fossil finds in the area, looks fascinating! Oh I think yours are better! Happy hunting! And thanks for looking and the nice comments, much appreciated. Looking forward to seeing more of your finds! Have you identified your prints? Mine were probably iguanadon. Finally managed to find a few mins to read your blog. Sounds like your having an awesome time, very jealous. If only I could do remote ‘air traffic control’ life would be easier! We’re trying to get the airfield opened up here, new job possibilities…? Wow! 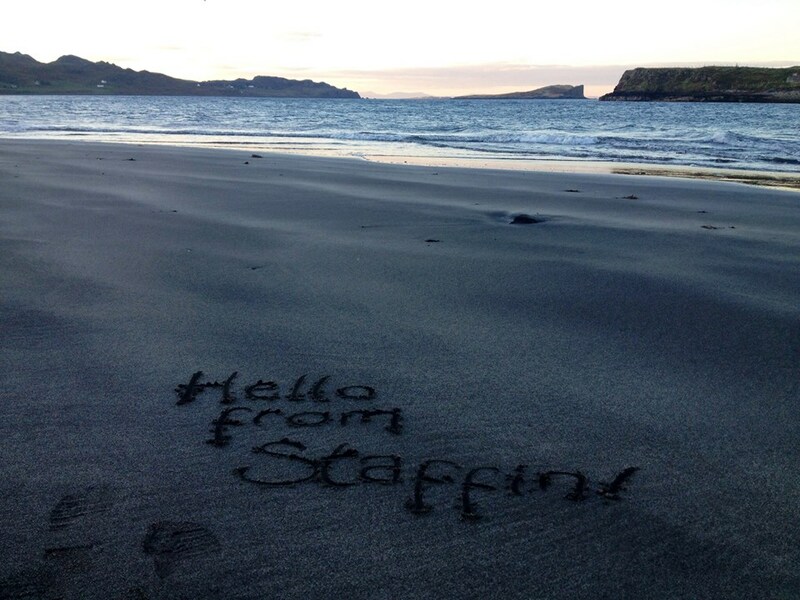 I was on Staffin beach only two days ago and didn’t even know to look for them!! Beautiful photographs! Very dramatic. 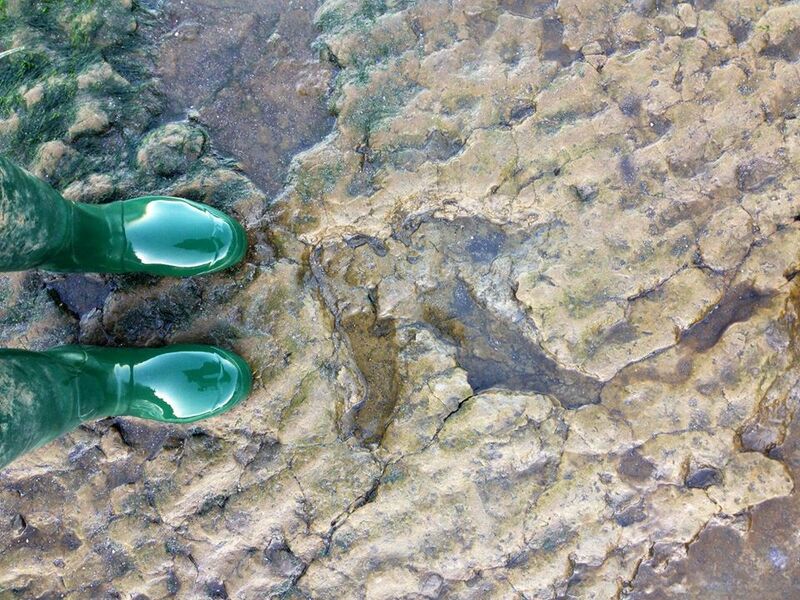 I hope you don’t mind: I have posted a link to your post about the dinosaur footprints, on my post about Staffin Beach. (I’m a good 10 days behind on posts of our trip! ) let me know if you’d like me to change it- I’ve never referenced another blogger before 🙂 Thanks, Carol. Thanks! 😊 I’m enjoying your blog too! 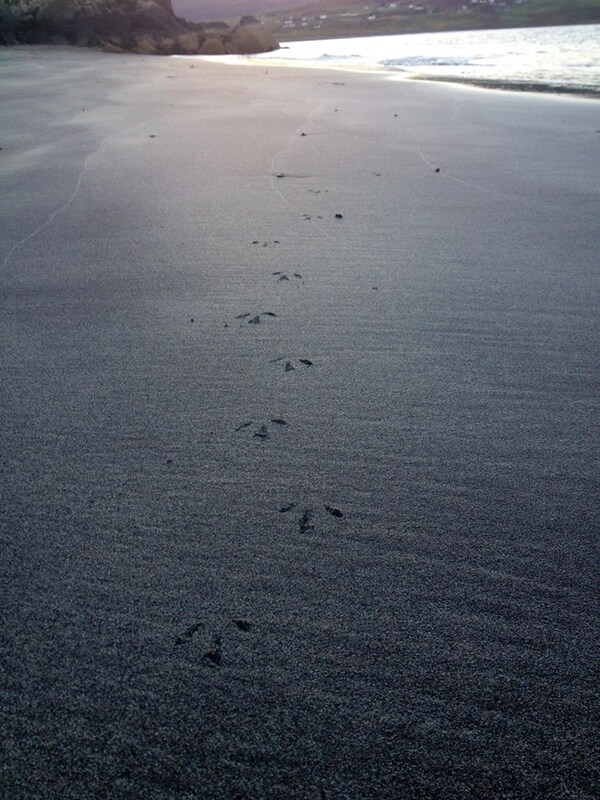 Me and my wife must have spent about an hour looking for those footprints last time we were at Skye! We later found out they are only accessible at low tide. 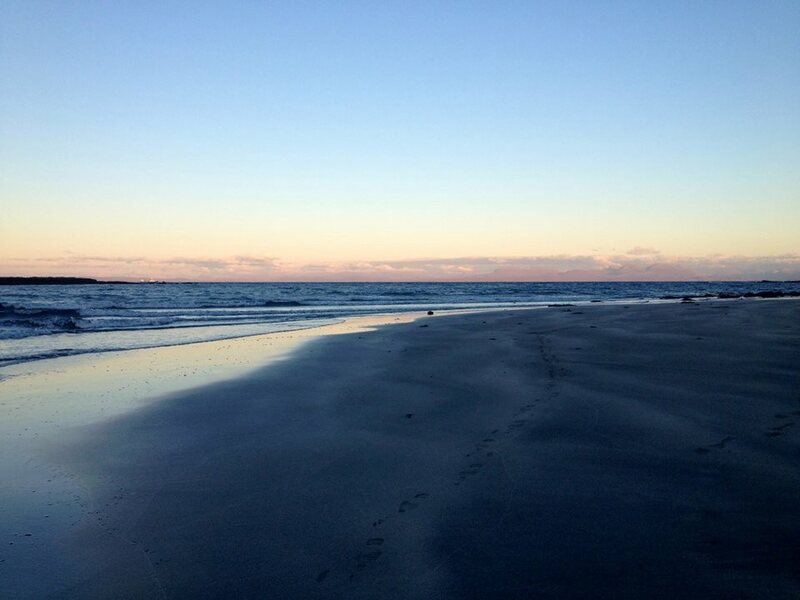 In regards to the lack of information about the location of the footprints, I think generally that is a good thing. There is a bit of an unwritten rule that there exact location shouldn’t be too widely publicised, for fear of theft or vandalism. The footprints are of such value that it would not be beyond the realms of possibility that someone would cut them out of the stone, I’m fairly certain it has happened before in other places. Very true. There are lots of stories of things going missing lately, the fossil hunters have been out in force this summer. That said, they’re even covered over at low tide at the moment, we need another storm to move the sand away before we can see them again!